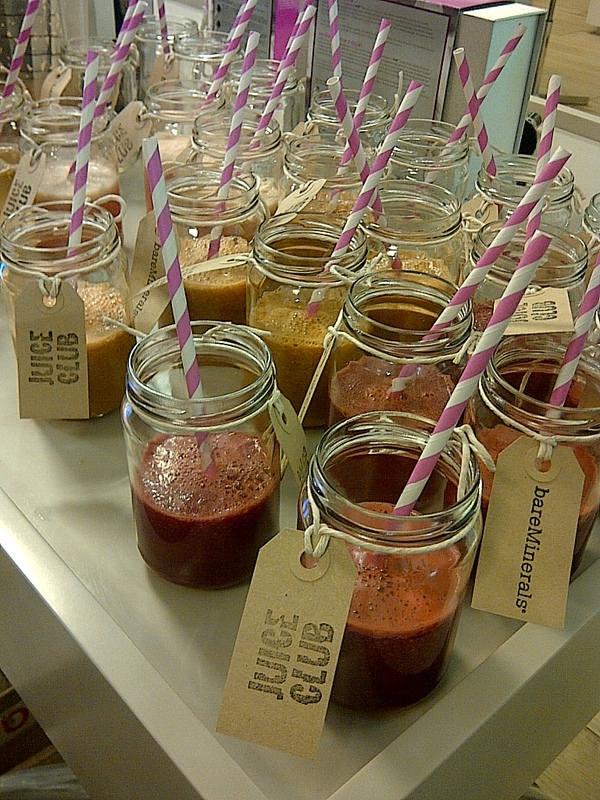 Those lovely mineral experts, bareMinerals, have just launched a new interactive Complexion Bar at Selfridges in Oxford Street, and I went along to check it out and drink healthy skin cocktails (below). Choosing the right base can sometimes be confusing and downright daunting, but bareMinerals aims to make it easy – the Bar is easy to navigate with self-service and full-service areas. 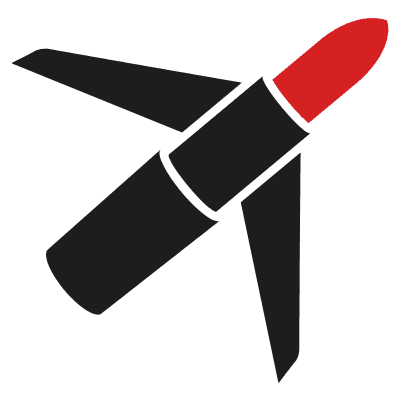 You can browse the product range, get advice from one of the complexion experts on shade matching or experience the brand’s signature ‘make-under’, which focuses on the correct application technique and ensuring you can recreate the look at home – the expert will do one side of your face and you will do the other. Now I’ve been in the beauty game for a long time but I’ve never actually tried the mineral foundation before. Most likely because I have always had the perception that it will take longer and be more fiddly to apply than a traditional foundation, and most days I don’t have the time for complicated regimes. But I am now about to Eat My Words. Because this product has actually blown me away and I am kicking myself for not giving it a chance sooner. Having watched the application technique at the Complexion Bar yesterday, it’s actually a doddle to apply – simply Swirl your brush into the powder, Tap off the excess and Buff onto skin. So this morning I tried it, with the help of bareMinerals Original SPF15 Foundation in Medium Beige (£25), and the Tapered Face Brush (£21). On first ‘buff’ I thought it wasn’t going to give me enough coverage but I persisted and gradually built up the powder till I got to where I needed to be. Wow. My skin looked natural, flawless and even. Better than usual in my opinion, and so quick to achieve! Just a little concealer was needed on top, plus a dusting of powder. Wasn’t sure whether to add more powder on top but I was a little too shiny for my liking so on it went. There is a matte version of this foundation which I would be interested to try, then hopefully I can ditch the powder. 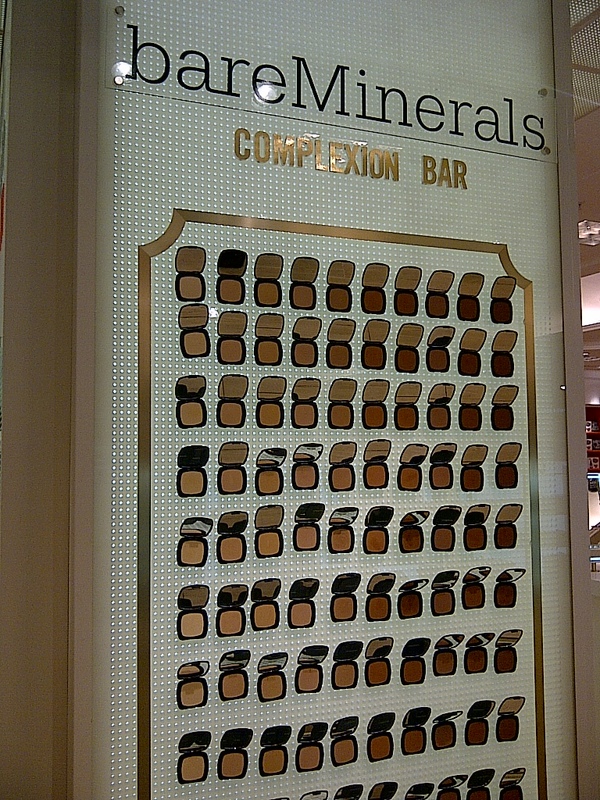 The Selfridges Complexion Bar is open now – find it within The Beauty Workshop on the ground floor. The Tapered Face Brush is available in October and is exclusive to Selfridges. There is also a limited edition SPF15 Foundation exclusive to Selfridges, with a pink or silver lid.